Buying an electric car is a huge step in the right direction to helping the environment.Plugging in and charging around becomes the norm, while petrol stations become a distant memory. By making a few minor tweaks you can go the extra mile in making your EV even more environmentally friendly. There are even energy companies now that will notify you when there will be a surplus of energy on the grid and incentivise you to take this excess from the grid – perfect for charging your EV and reducing the cost of running your car. 2. It goes without saying that an EV fuelled by electricity produced from fossil fuels is counterproductive. There are more and more providers who are competing in the UK energy market who are dedicated to providing renewable energy tariffs. By signing up for these tariffs it will put pressure on more investment in renewable energy sources. 3. You could even take your EV off the grid and implement a solar charging system so that your car becomes completely self-sustainable! 4. Look into Vehicle to Grid (V2G) technology. It allows for the flow of electricity between electric vehicles and the grid and enables EV owners to supply energy markets and make better use of renewable resources. In effect, when you plug in your EV it becomes a storage device. 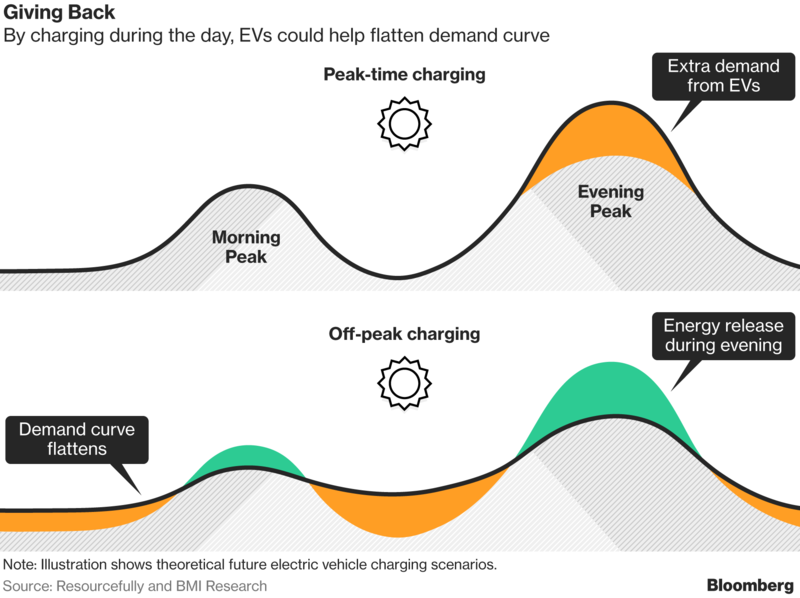 Your EV’s battery will be charged or discharged based on demand of the grid and redirected during peak times.